My chosen aesthetic is modern log cabin interior design. If you have been in a modern log cabin, you know that repeating animal patterns and brown yellow red colors are all the rage. My parents have a cabin in the middle of the White Mountains in New Hampshire. The interior aesthetic is this modern cabin style. They actually have the same pattern furinture as the picuture below. I want to make something they can put as a centerpiece in their home. 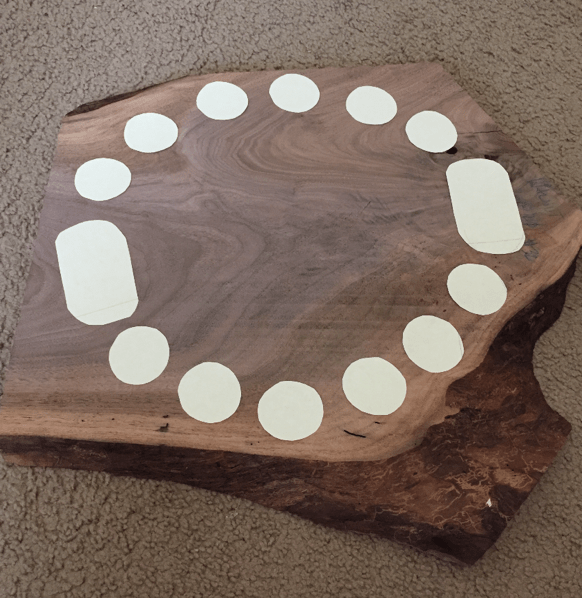 I have come up with a lazy Susan and mancala board design. I am going to combine the two. 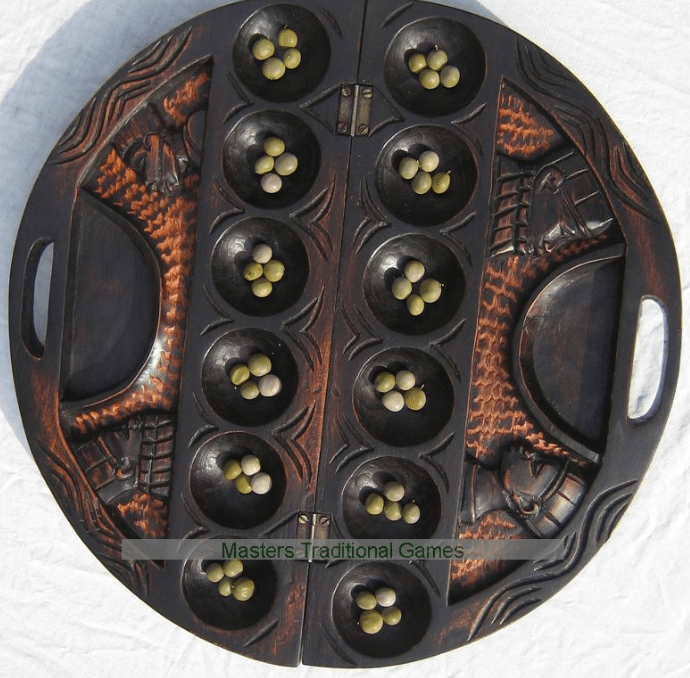 This way, the Lazy Susuan can be used for resting drinks or magazines, and then it can instantly turn into a game board! 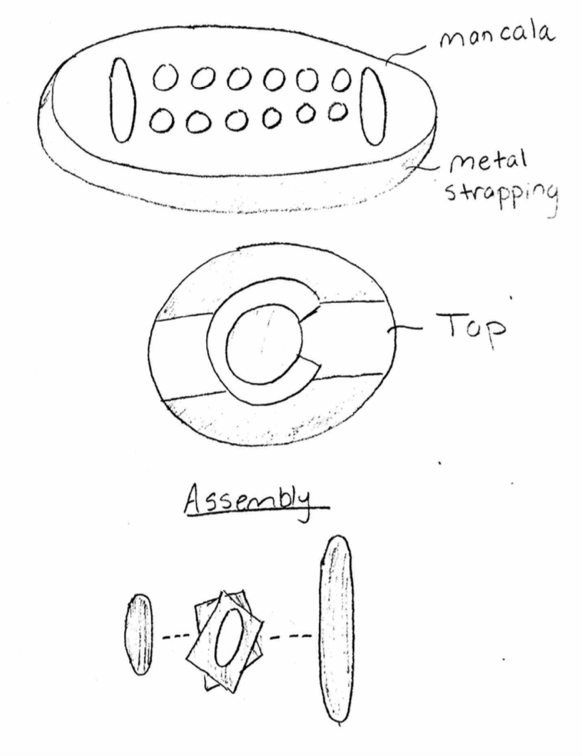 My original design idea was to have a top so that the game would not interfere with the Lazy Susan. I have decided that the piece of wood is large enough, so I will not need to do that. I am also getting rid of the metal strapping and Colorado Flag design. I have the materials I need. I have set out the design of the game. 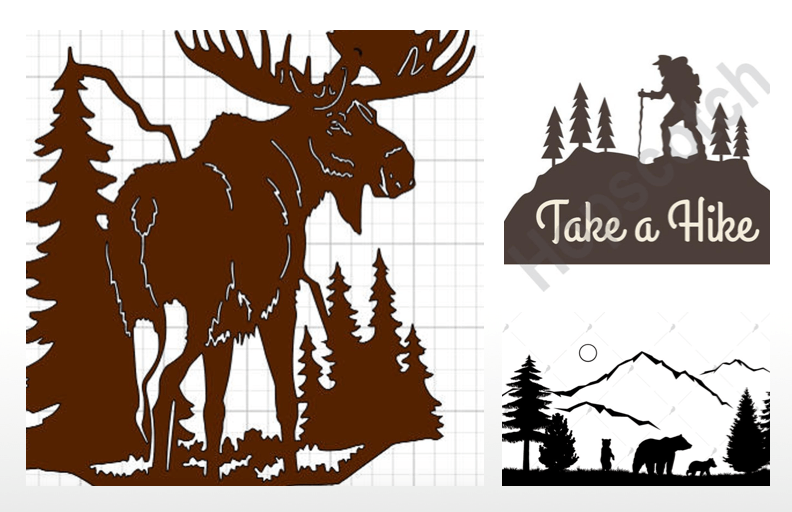 I am going to use the laser cutter to raster a design in the middle. The design will match the aesthetic I am going for. I have not decided yet, but it will be one of the three design below. I will customize it to say “The Bensons” for my parents home. It was interesting to follow the evolution of your project. Lots of things can be done with those wood slabs and they provide a great look. Laser cutting seems a bit difficult for a wood piece this size. If you can’t actually fit it in the cutter then maybe you should try etching out a design on your own. Would give it some extra character. I am wondering if this would is going to be too thick for the laser cutter. I know that the board can lower but the power of the laser may not be enough. Anyways I like the aesthetic and good luck! Will, that is an awesome piece of live edge wood that you have for the board. I wonder if the laser cutting might be tricky into the piece. Good luck. This idea is awesome! I can’t wait to see the final product and maybe play a game when we all present our projects! I think the aesthetic is also cool and its nice that you’re giving it to your parents! I am curious how tall the table will be and what will the base be made of? This idea is really cool! The idea of having it on a turntable. This would make a great gift. Are you going to make it circular or stick with the rustic look? I really like the log cabin aesthetic you’re going for. I think the char from using the laser cutter to etch your design will really add to the aesthetic. I have never played this game, but I know the pain of having to reach over people to play a board game. To have this design rotate is a very cool idea. The wood you are using adds a very real feel to the game. What are you going to use to make the game rotate? 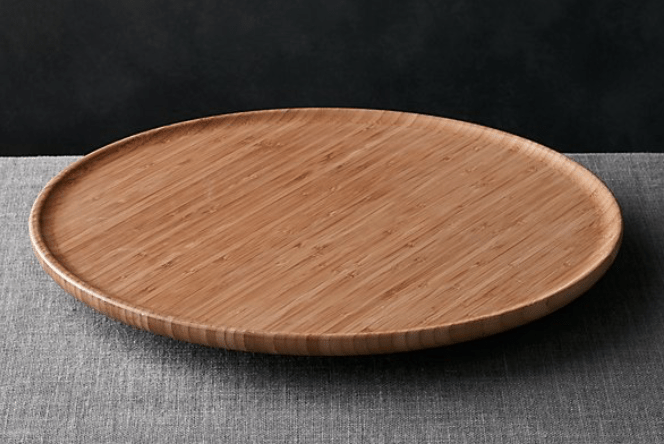 Are you going to buy a lazy susan and re-purpose it or build your own? Love the addition of the cribbage board, and having it rotate makes it easier to play the game, and not have to reach across the whole board. Have you considered making the scoring pegs for cribbage to match the overall aesthetic of it?